Switching to DigitalOcean simply is gonna save jbklutse.com up to 1,500 USD henceforth. We switched from using WHM CPanel, which depending on who you ask, is a total overkill for many site hostings, and in many cases a waste of time, compared to DigitalOcean Droplets. This article goes ahead to explain how and why this switch would save JBklutse.com this ton of money in the long run. Although something like CPanel might offer some level of flexibility as you get to play around with options in the browser, for many hosting needs, it is just chaos. Unknowingly, for whatever reason, some shell thousands of dollars each year for hosting services that offer less to none benefits in any way possible. I was fortunate to have seen DigitalOcean when I started with my ‘cloudness’, and as a result, I did not fall victim to the senseless shelling of cash for unnecessary hosting services. During a random chat with John (the guy behind jbklutse.com), he mentioned he shells out close to 150$ each month to keep his many websites running. JBKlutse.com is a go-to Tech and Social information website. We focus on delivering up-to-date content on trending tech and social issues everywhere. The founder, John-Bunya Klutse manages over a dozen of other websites for different clients. ‘They are WordPress’, he responded. So, why would anyone, who knows the ‘market’, pay some 150$ just to keep their WordPress sites running? Under 10$, one can even handle up to a million requests a day with WordPress. From our conversation, I learned the total requests from all his WP sites didn’t get up to 500k hits per day. That means, even a 10$ budget could happily accommodate his needs. By 10$, I mean with DigitalOcean. Now if you ask me, the circled spec is a lot firepower for WordPress hostings. Considering John’s instances on the WHM CPanel would randomly go off at random times of the day, getting a reliable and robust platform was essential. In my 3 years of using Digital Ocean, I’ve not noticed any significant issue with any of my applications because of an issue with DigitalOcean. If there was any downtime, it was me playing with my own applications and messing them up sometimes. Obviously, John could use a very confident platform, a platform when he spins up, and goes to sleep, he can sleep. As one who’ve used DigitalOcean for some 3 years now, with 2 running droplets, with mixed application types running, it came to me naturally to recommend using the platform. At least the pricing made sense, and the performance could be better. Switching from CPanel to WordPress didn’t look like something that could be easily automated. There were a total of 16 websites that needed to be migrated. Fortunately, all were WordPress backed. As I went through the CPanel for the existing installations, all I could do is hit my head on my desk each time. So many controls and options, even more than that found in an A380 cockpit. In an attempt to create an all-in-one solution to managing a server, CPanel seems to have ended up as an overkill solution for a mere WordPress hosting. And so, it is as if you’re given a swiss knife, when in fact, your task at hand requires no knife at all. To save myself from any form of headache and messing around with the overly and already looking chaotic system of CPanel-ness, a migration plan was drawn in which it would make my life easier, and ensure smooth transition of the sites without any major downtimes for all the websites involved. Doing a smooth migration from the Cpanel to DigitialOcean was essential. To achieve this, we decided to handle the switching of each site auto-manually. As usual, a DigitalOcean droplet was spin up. We put the box in Amsterdam. It might be a stupid idea, but I think London and Amsterdam appear to be in the middle of the world. Roughly equal distances to Asia, Africa and North and South America. Installed UpDraftPlus plugin on each WordPress site and backed up each site to a backup storage. Setup domain names in DigitalOcean’s DNS for each website. Via a script, Setup database for each site on our droplet. So the above steps were taken to put things ready for each switch. We would then point the domains DNS settings to DigitalOcean’s nameservers, then run the Letsencrypt command to generate for the specific domain. Next, via VPN, I access the domain via France or Netherlands where the new DNS changes might have reflected in under a minute. Very often, DNS propagation takes a bit of time to reflect elsewhere around the world. It can about 30 minutes before reflecting everywhere in the world. To see where and how far the propagation has gone, I use https://dnschecker.org. Immediately I’m able to know which country to VPN into to proceed with importing my updates. From France, I visit the domain, follow the WordPress new site installation steps, and voila, site is up. I then installed UpDraftPlus and reimported the backed up site. Everything resumes to usual after the backup and users in Ghana might not even notice a DNS change as this change over happens swiftly before the new DNS details get to them, everything would have been up already. Thus, each site transition was seamless and smooth. You visit the site and gets you details from old server. You next request might not go back to the old one, but the new, assuming the DNS propagation reached you. That feeling might be just me. 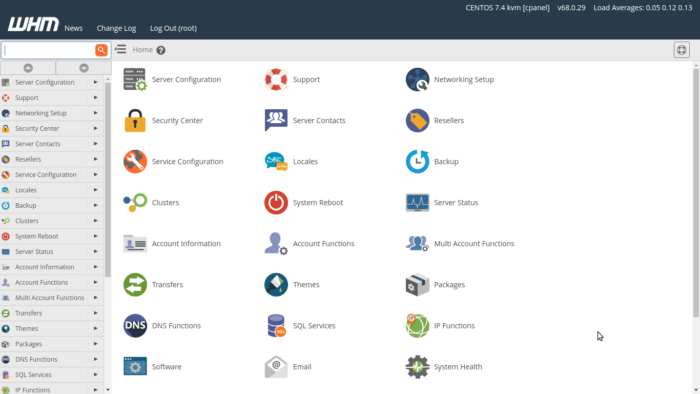 If you avoid CPanel, you would save yourself a lot of complications. In 2018, VPS have made running your own site simpler and cheaper. There are tons of tutorials out there that can get you setup with any VPS provider of your choice. It is easy to want to run things on your own, avoiding the expertise of those with the know how. This eventually ends up making decisions that come back to bite us hard through ripping our pockets. 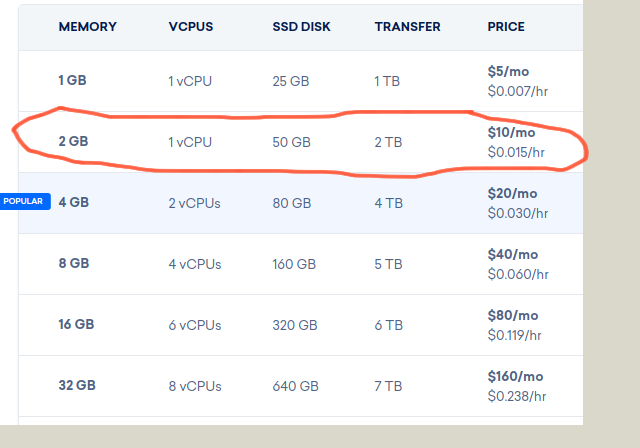 Instead of jumping onto ‘already-managed’ hosting kinda platforms, you might save a lot of cash should you setup your own system with a cheaper option. It only has to be setup once. The rest of the benefit, you reap endlessly. All John needed was the initial setup of the websites, and any subsequent setups (which currently should take under 5 minutes) to do. The steps involved is also minimal anyone could do. Get help, and relief yourself of the unnecessarily expensive solutions that might be out there. I wanna use this opportunity to make a call to anyone out there. If you’re paying more than 20$ per month for a website you’re hosting with brings in less than 100,000 page views a month, then You’re Paying Too Much! Whether WordPress, Drupal, Joomla or Mezzanine, you shouldn’t pay more than 20$ per month. Just don’t! You can do more for less! Handling over 2m request with 10$ in a week.